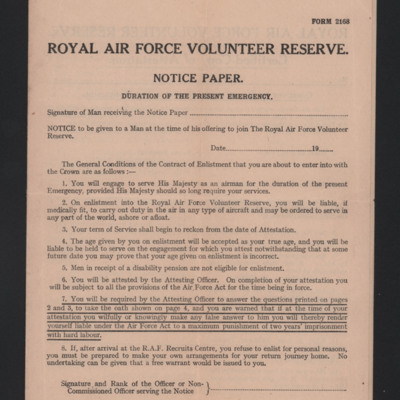 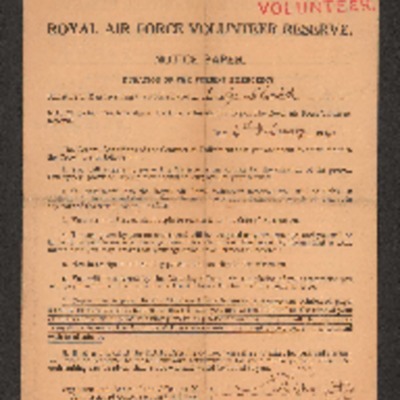 Notice of reserve service and copy of attestation to Volunteer Reserve (pilot section). 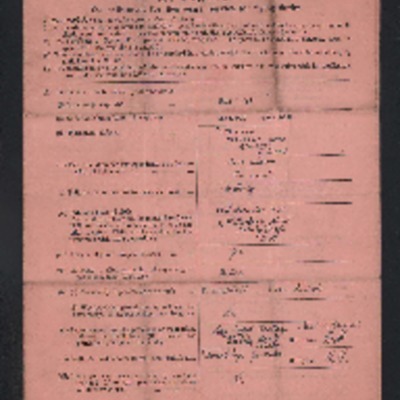 Includes details of Ernest's address, date of birth and work. 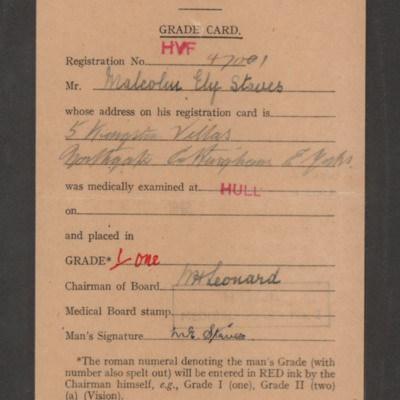 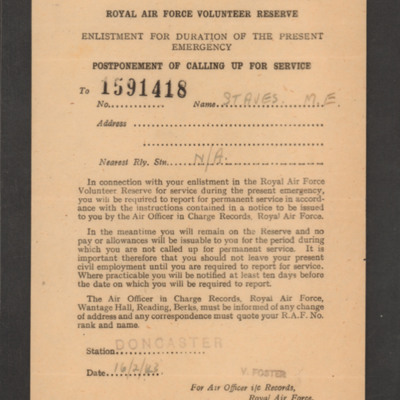 A document requiring Malcolm Staves to enlist in the RAF on 16 February 1943. 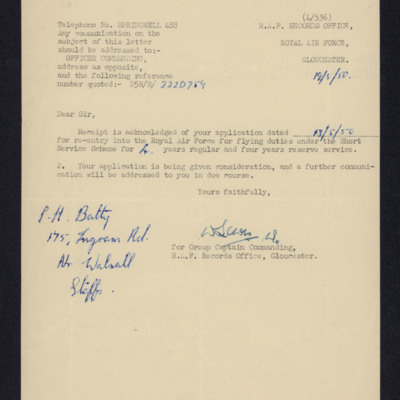 Philip Batty applied to rejoin the Royal Air Force having left after his wartime service. 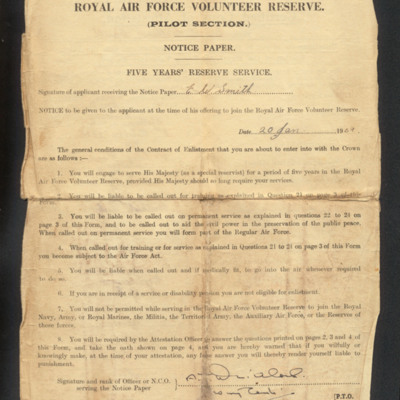 Official documents recording that Philip Batty joined the regular Royal Air Force from the Royal Air Force Volunteer Reserve. 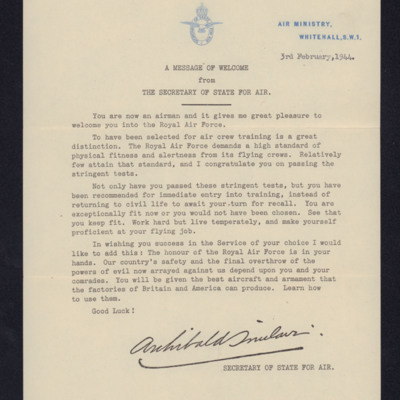 A message from the Secretary of State for Air welcoming airmen into the RAF. 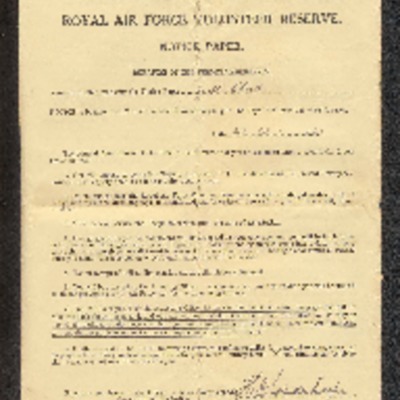 Welcome letter congratulating recipient on being selected for aircrew training with immediate entry. 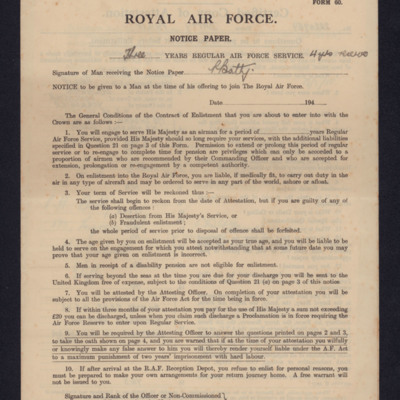 Goes on to exhort recipient to keep fit and that the honour of the Royal Air Force is in recipient hands. 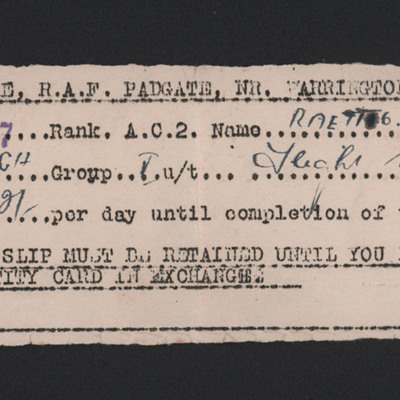 State pay as under training armourer of two shillings a day and detail joining instructions. 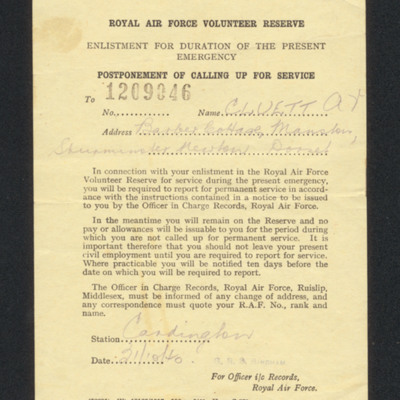 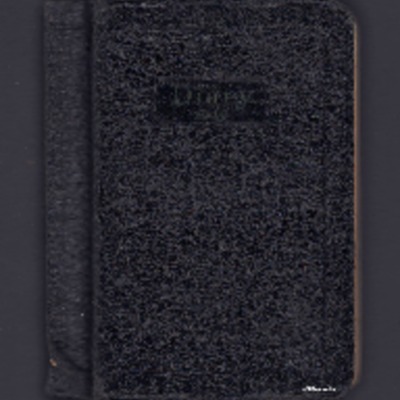 Issued to Cluett, Albert Victor on 23 November 1940 and contains personal details. 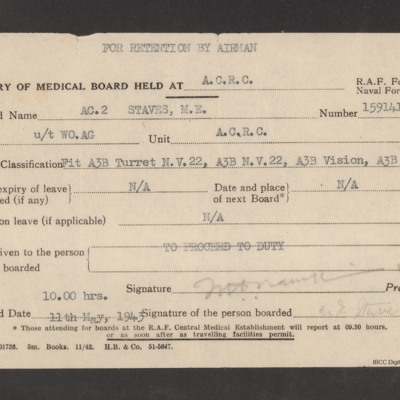 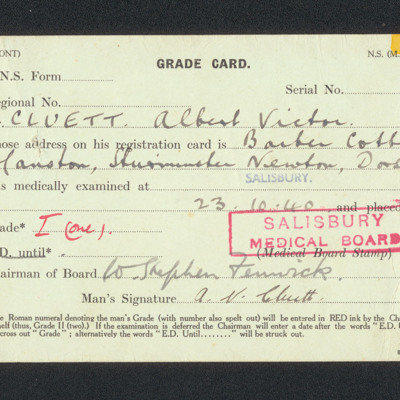 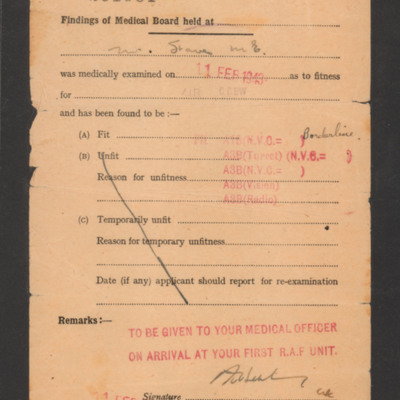 Shows Albert Cluett was medically examined on 23 October 1940 in Salisbury. 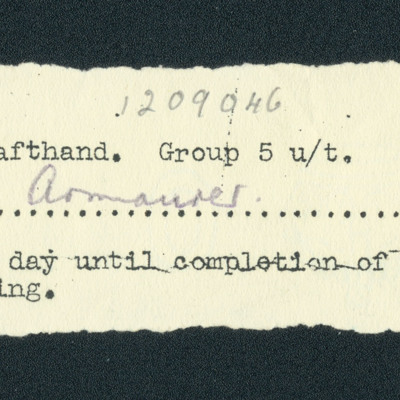 Placed in grade 1 (one). 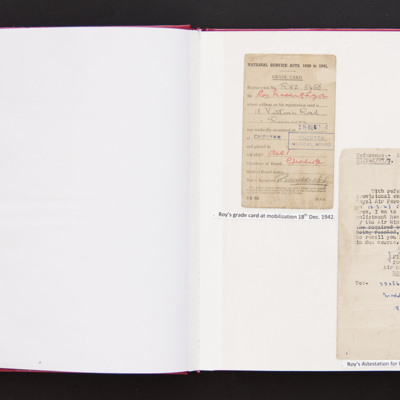 Leslie Clodd's certified copy of attestation. 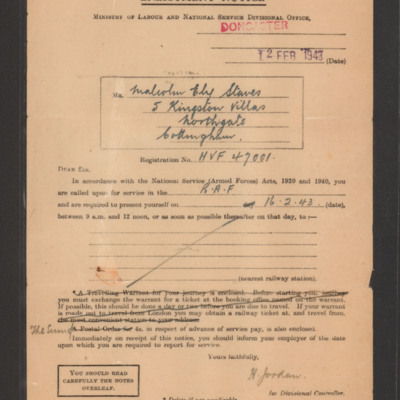 States 1136657 A.C.2. 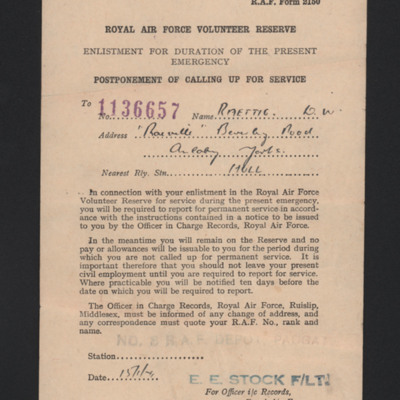 Raettig Dennis William is under training and is due to receive 2 shillings per day. 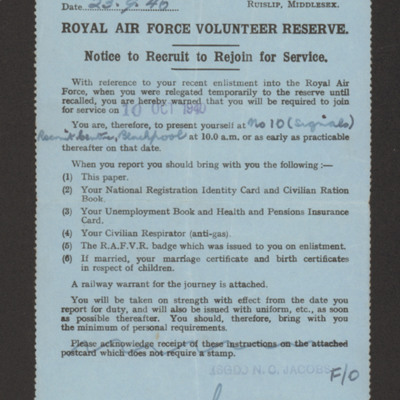 Slip to be retained until he receives a service identity card.